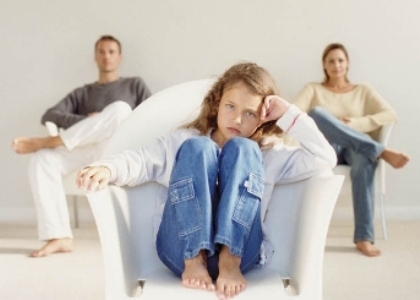 A divorce is usually a tough moment to go through as a kid and as a parent. As a part when you’ve managed to recover from it you’ll be naturally looking into other people to start a new relationship. Of course when your kid will come to meet your new friend of partner it might remind him of previous emotions. The way a child will react when presenting him your new partner can be very random. In some cases your child will not accept this new person. He will consider her/him as an intruder who’s entering his habits and his family. In some cases it can get even worse. For kids who saw one of their parents leave the other one; this new relationship will sound to the child as a new separation. This parent didn’t use to be there much and now this new relations hip will get things even worst. If this parent left once will he do it twice? Following a divorce it’s important that the child has support from both parents. Not doing so can have an impact on his psychology during his teen age. On the other hand your child can hang on really well with your new partner. This can be very reassuring for you. Child can understand that their parents need someone else to live with. They can also sense when you feel happier when dating a new person. Be careful though before presenting your new partner to your child. If he gets on well with your new partner it will be hard for him to face another loss especially if this new person is considered as a new parental figure by your child. When dating a new person you shouldn’t immediately present him/her to your kids. Make sure you really want to introduce this person to your child as your new partner. Of course you’ll have to talk to your partner about children you already have (sadly enough this can put off a few of them). The other way round you’ll have to discuss this matter with your children in order to get them ready to a new person in your life. Don’t wait the moment before bringing home your new date. Get them used to the fact that you might meet someone. Some kids will find it easier to accept, especially older ones who are usually more capable to understand your needs. And we’ll be more tolerant to a new person to make you feel happier. It is important to discuss these kinds of matters as a family. Don’t forget to let you ex-partner know about this relationship. It can be very harmful after a divorce to hear about the new relationship of an ex-spouse. Kid’s reaction can never be predicted especially after a divorce where this kind of news can bring up a lot of bad memories and emotions.